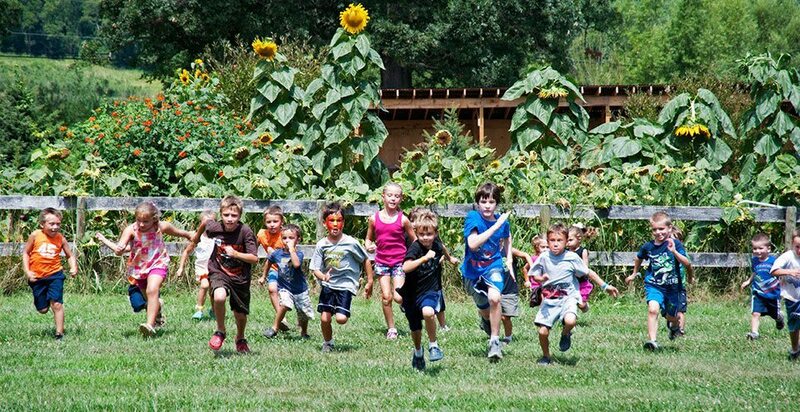 With over 20 years of farm field trip experience and a capacity for whole camps to come all at once, Great Country Farms is the place to meet Virginia Standards of Learning (SOL) requirements and enjoy every minute of fun on the farm (download full list of SOL fulfilments here). 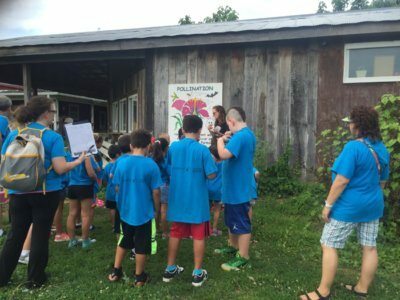 On our real working farm, children have the opportunity to see how produce grows, mine for precious stones, discover the importance of pollinators like honeybees, and the life-cycle of the Monarch Butterfly. In addition, all students will enjoy a wagon ride tour of the farm. Our educational tours and school trips are seasonally based with a focus on the bounty of the season. 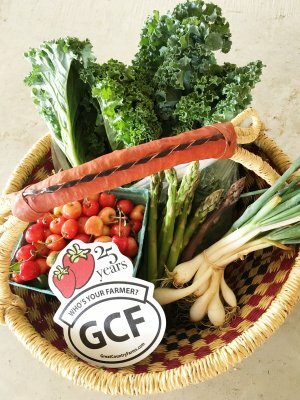 Our summer field trips feature summer fruits or vegetables such as peaches, blackberries and green beans. You can choose from three summer educational tours that we offer here at the farm or even combine two together! Click on the tour below to find out more! Don’t forget to exercise their gross motor skills by visiting our 5 acre play area! Our 2800 sq ft Pumpkin Jumpin’ Pillow, Triple Threat 100′ slides, pedal cart track and rope swings will make your heart race! You can become a Maze Master by challenging each of our 4 mazes. See who can climb up the Rubber Ridge tractor tire mountain the fastest or romp in our Corn Bin. With each of our school trips, 1 camp counselor is FREE for every 15 students with a minimum of 15 students. We are here rain or shine, and there are several covered areas during the tour to accommodate your group. 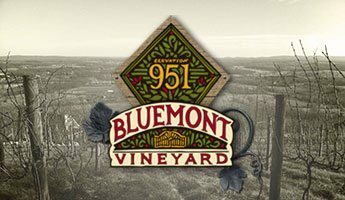 Tours are available Tuesdays – Fridays. Let us provide a hot dog lunch for your group so you save time and enjoy your field trip and educational experience! Tours take about 90 minutes to rotate through all the field trip stations. This does not include time in our 5 acre play area or time for lunch. Groups normally spend 3 hours on the farm to get the full experience. Allow an additional 30 minutes for Combination Tours. How do you charge for camp groups? We welcome camp groups and love to spend more time with the children since camp schedules are often more flexible. We recommend afternoon tours for groups as the farm is less crowded. One parent/counselor per 15 students is free with a field trip.